BACK BY POPULAR DEMAND this April and May 2015 @ Cafe en Seine , Dawson St. Dub 2. DINNER THEATRE Use the below form to BOOK NOW or go to Eventbrite.ie. Decadent Victorian London: The socialite Lord Henry seduces the beautifully boyish Dorian Gray, into a double life of pleasure, murder and excess. Unlike Lord Henry, Dorian never ages – only Basil Hallward’s picture portrays his decline into sin and ultimate self-destruction. Wonderland’s The Picture of Dorian Gray began as part of the Dublin One City One Book Festival in April 2010 as Afternoon Tea Theatre in Bewleys of Grafton St. 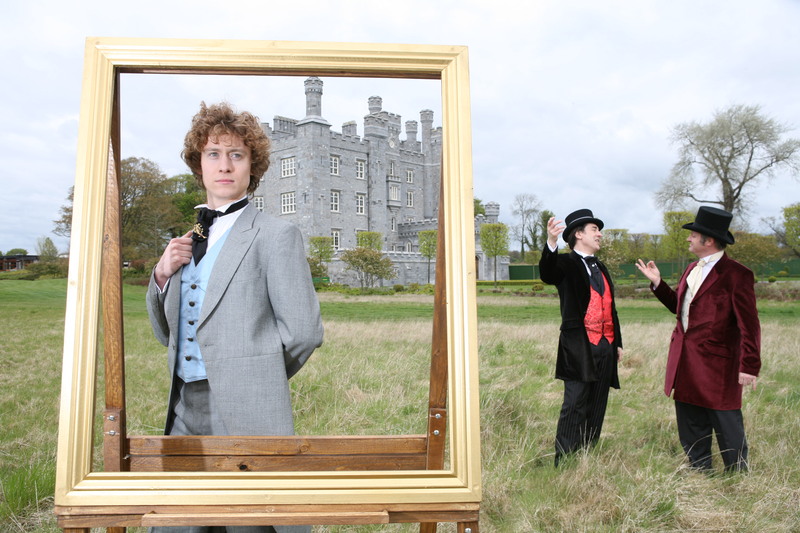 Since then the show has toured as Afternoon Tea and Dinner Theatre to castles, country houses, theatres and restaurants all over Ireland, as well as returning for regular ‘Back by Popular Demand’ runs at Bewleys in its Dinner Theatre form. 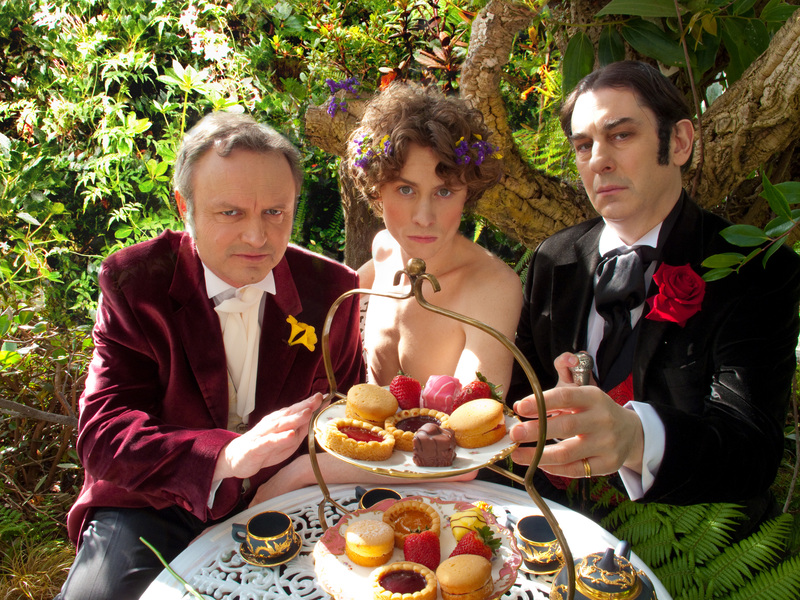 Audiences indulge in delicious food and Wildean wit as the text of this Gothic masterpiece, adapted and directed by Alice Coghlan, is narrated and exquisitely dramatised by Basil, Lord Henry and Dorian – actors Michael James Ford, Simon Coury and Michael Winder. 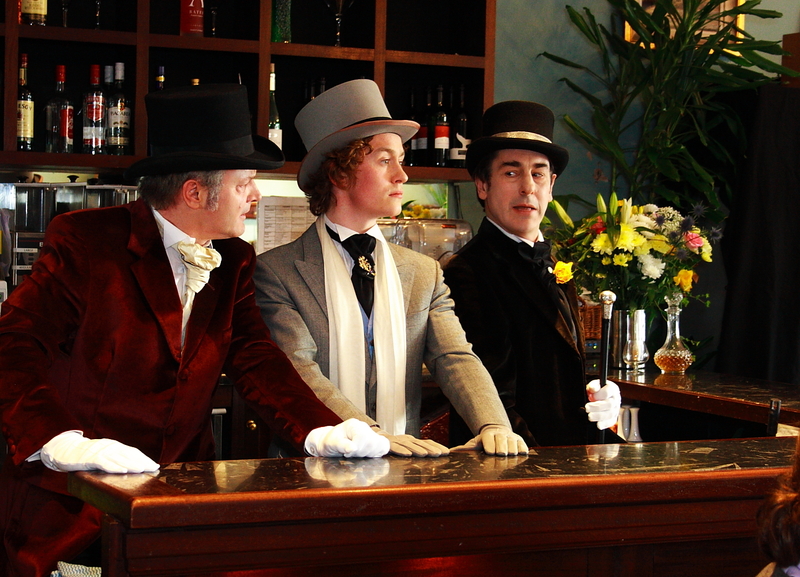 A second understudy cast has been put together for the performances of The Picture of Dorian Gray @ Cafe en Seine. 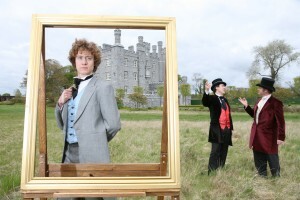 Fionn Foley as Dorian Gray, Liam Hourican as Lord Henry and Jim Roche as Basil. Future tours of the show will be performed by combination of the original cast and second cast. This is a treat for both theatre lovers and diners, presenting an original experience that leaves the audience thoroughly fulfilled. “Excellent! What a great night out”. Listen to Simon Coury chat about the show on Sunshine FM.